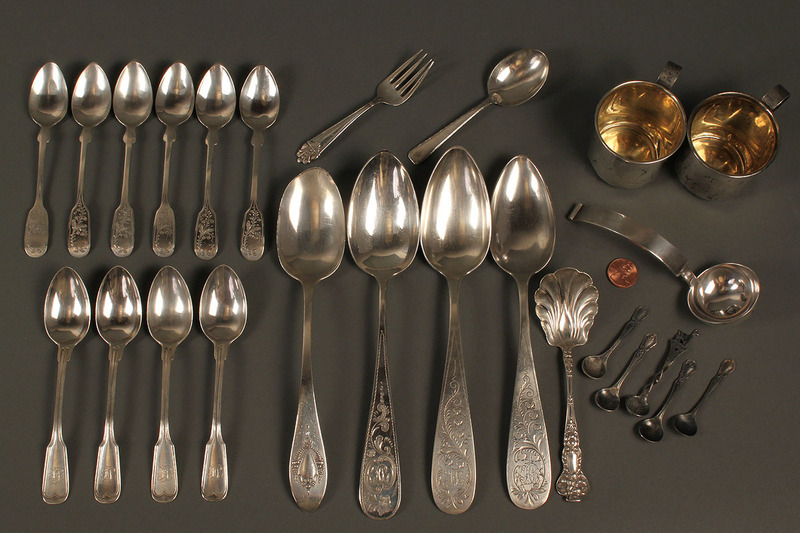 Assorted grouping of silver flatware. 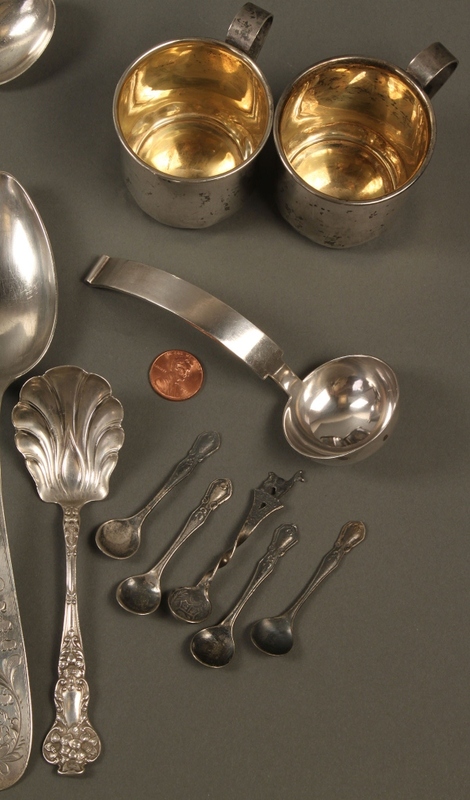 1ST ITEM: Miscellaneous group of sterling silver items: 2 baby cups with gilt interior wash, 2" H, 5 salt spoons, 1 sugar shell, 1 baby spoon & 1 baby fork. 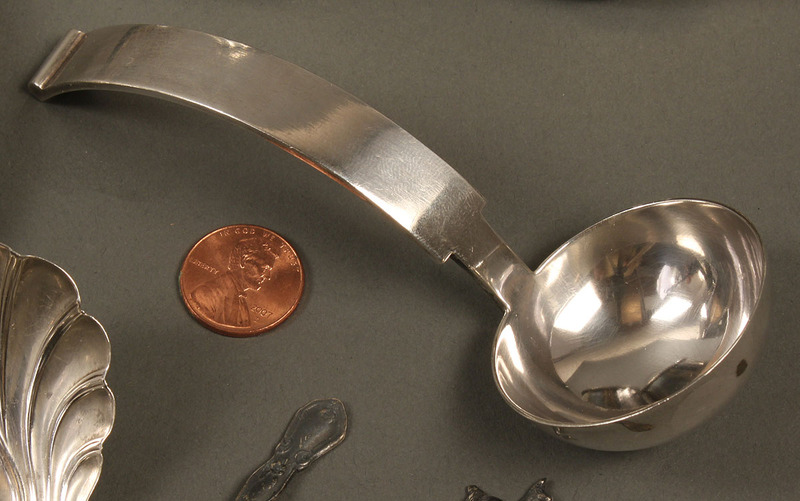 6.285 total oz troy. 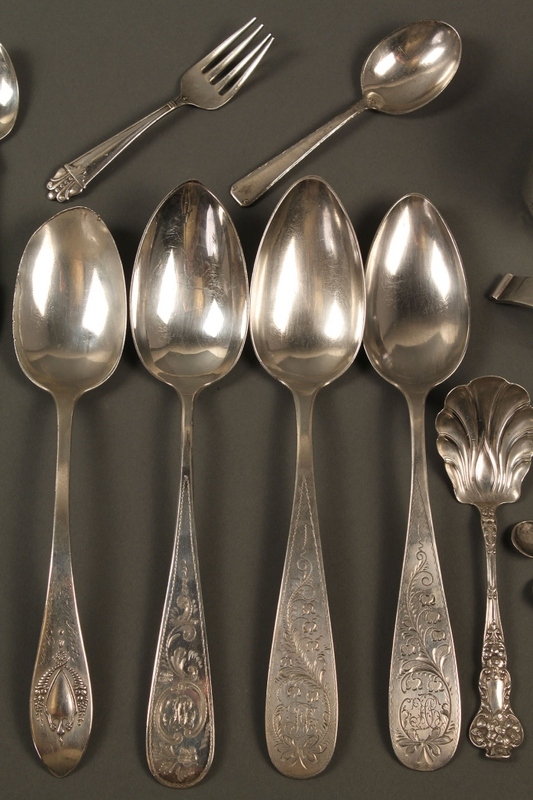 2-1/4" – 8-1/4" L. 2ND ITEM: Group of German marked 800 silver spoons including 6 fruit spoons, 3 teaspoons, 3 tablespoons, 8.47 total oz troy. 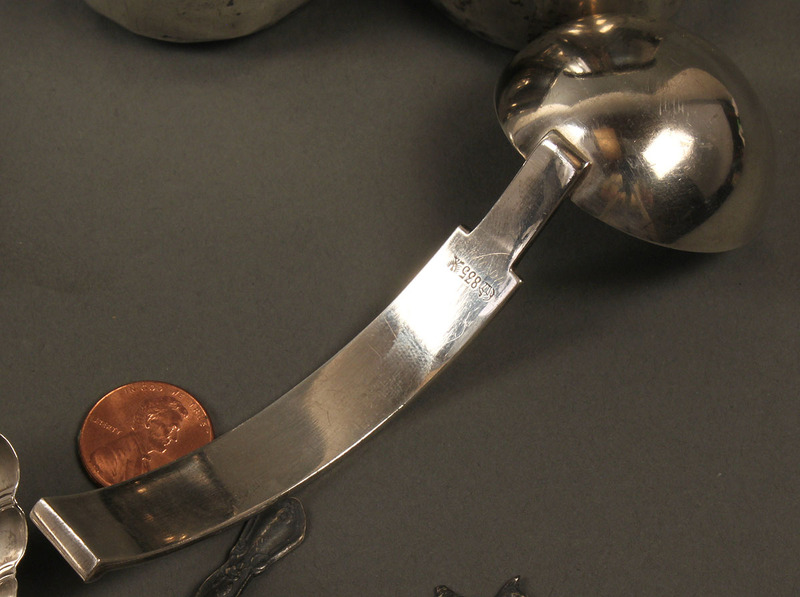 5-1/8" – 8-5/8" L. 3RD ITEM: One cream ladle, German, marked 835, 1.46 oz troy. 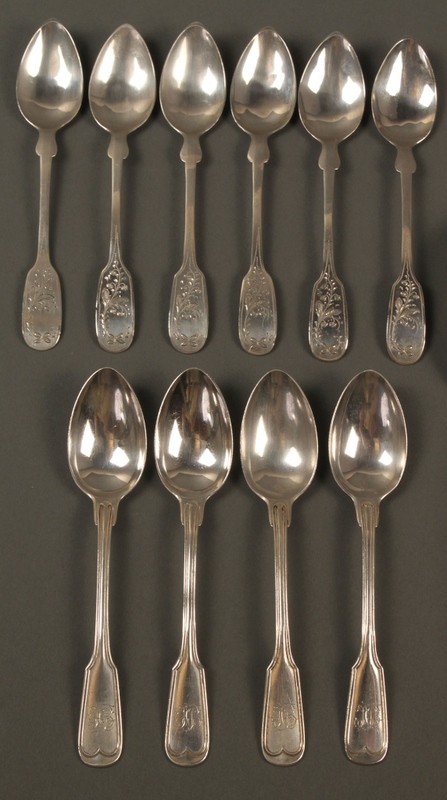 4-3/4" L. Condition: Overall very good condition. 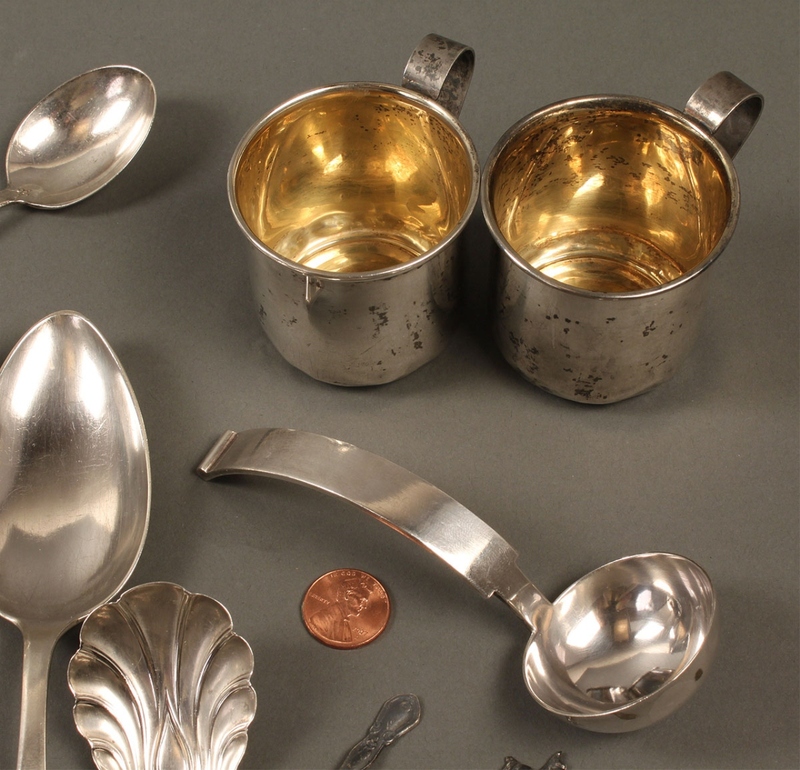 Dents in baby cups and wear to bowl of one tablespoon.